Luxembourg is wooing mainland Chinese companies to list on its new green bond platform – the world’s first solely dedicated to environment-friendly debt securities – according to its Minister of Finance. Already, the small country is one of the most important hubs for financing activities between mainland China and Europe, positioning itself since 1979 to be a gateway similar to the role Hong Kong has played in Asia. 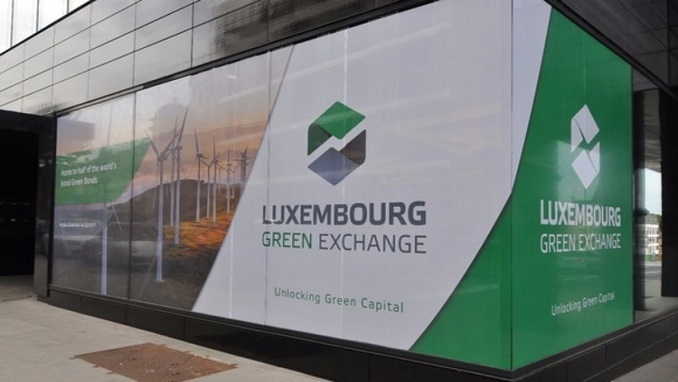 As China becomes an increasingly important player in green bonds, Luxembourg hopes to only grow its role as a go-to financing centre for the mainland with its Luxembourg Green Exchange, which was launched in October. Luxembourg’s push into green bonds is also expected to get a boost from Brexit, the UK’s planned departure from the European Union, which is making global companies look beyond London for their business and financing needs. “We expect there will be a lot of Chinese companies and banks to list their green bonds in Luxembourg,” Finance Minister Pierre Gramegna told the South China Morning Post. China Construction Bank, the nation’s second-largest lender, became the first of the world’s banks to list a green bond on the Luxembourg Green Exchange, with a 500 million euro (US$570 million) fixed-income security. Gramegna added his country is already a leading renminbi centre in Europe as major mainland banks, including the Bank of China and the Industrial and Commercial Bank of China, set up their European Union hubs there. Green bonds are issued by banks or companies to finance green projects that help reduce pollution or increase energy efficiency. They come with tax incentives to encourage investment in projects aimed at serious problems related to climate change and other environmental challenges. The US, mainland China, France and London are large issuers of green bonds. While green bonds remain a small part of the global bond market, issuance is growing at a rapid pace, noted a report issued in December by the Hong Kong Exchanges and Clearing, the operator of the local stock exchange. Hong Kong sees an increasing role for itself in green bonds for companies from mainland China, which in only a matter of a few years has emerged as a leading player in green bonds. London – one of the world’s top financial centres – has made its own moves to become a global hub for green financing. But Brexit threatens that as global companies look elsewhere amid concerns about the resulting chaos and uncertainty. Union Bancaire Privée (UBP), a Geneva-headquartered wealth management company with about US$128 billion under management, is among financial firms deepening their presence in Luxembourg in advance of a hard Brexit. UBP last year announced it was acquiring Banque Carnegie Luxembourg, bringing its total assets under management in the country to about US$24 billion. It will keep a presence in London, but Guy de Picciotto, chief executive of UBP, said the acquisition was part of its hedging against Brexit risks. “Without Brexit, we definitely would have made London the centre for our European business. Because of Brexit, we have to hedge ourselves,” said Picciotto. In another sign of Luxembourg’s importance to the mainland, the Beijing-backed Asian Infrastructure Investment Bank (AIIB), the multilateral lender, will hold its annual meeting there for more than 3,000 attendants worldwide on July 12 and 13. Luxembourg, which is the largest investment fund centre in Europe and second to the US in the world, is expanding its ties to Hong Kong as well. In January, it signed a mutual funds recognition agreement with Hong Kong’s Securities and Futures Commission aimed at encouraging more cross-border fund sales.